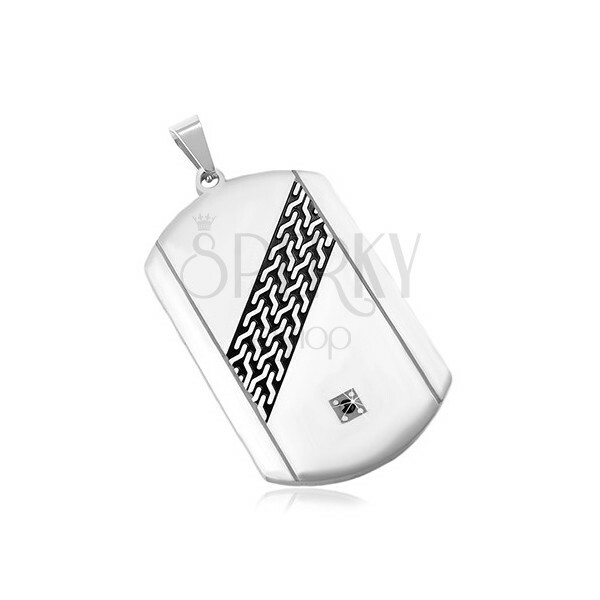 316L steel pendant, rectangular plate with matte smooth surface, thin indents, imbedded black zircon, stripe with a tire pattern. Steel pendant has matte and smooth surface in silver colour with narrow indents on the sides. It is made in the shape of a rectangular plate the shorter sides of which are slightly curved. 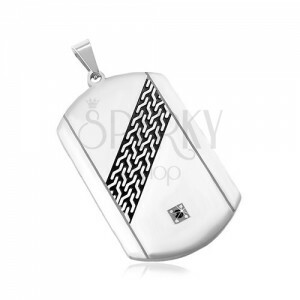 In the middle of the pendant is a black diagonal stripe with a tire inprint and in the bottom part is placed a circular black zircon. The eye for the chain is elongated.